Members of HRGM’s Brared Maltese Congress Militia during the Floriana Day event held in October 2017 – part of 25-person contingent present on the day. Members of HRGM have re-enacted the celebration of Bastille Day as it had been done on the 14th July 1798, a few weeks after the French occupied Malta and evicted the Order of St. John. 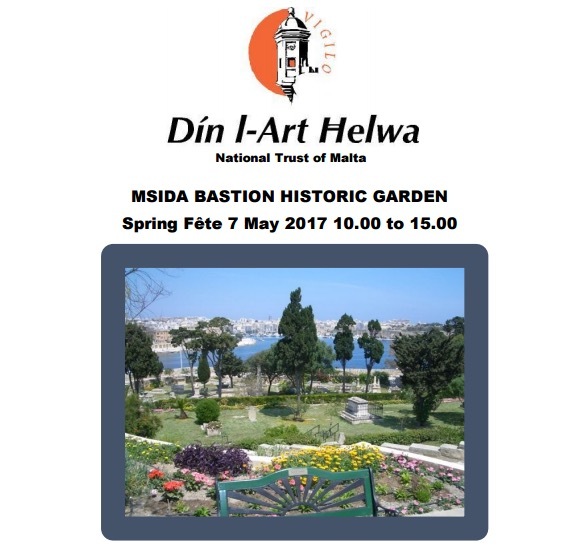 Din l-Art Ħelwa is pleased to announce this year’s edition of the Spring Fête which will be held on Sunday, 7th May, (10.00-15-00), at the Msida Bastion Historic Garden. This is an extraordinary hidden garden quoted on National Geographic’s Intelligent Travel Blog as being ‘One of the Five Most Beautiful Cemeteries in Europe’. Come along and enjoy an occasion for family fun. 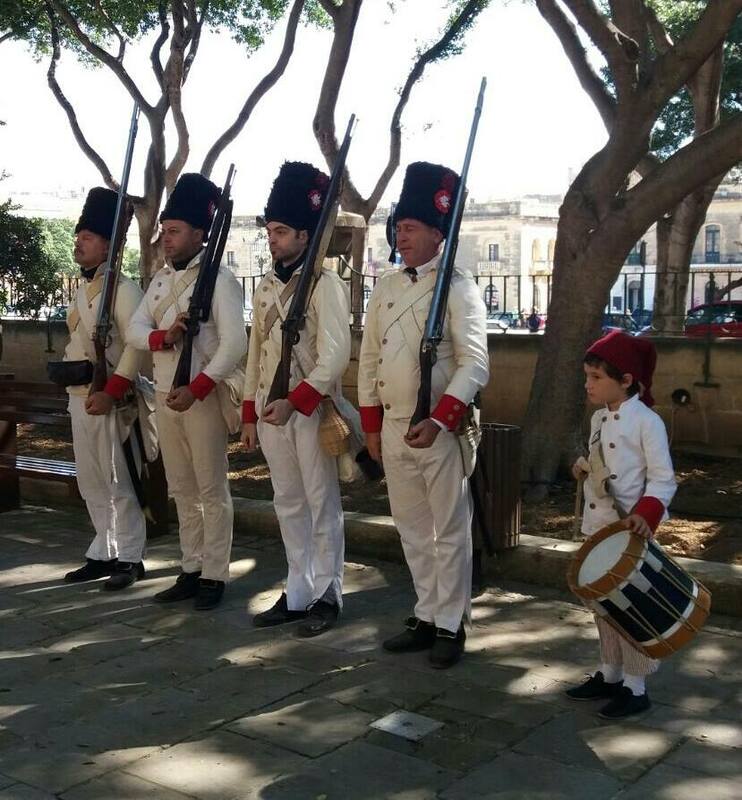 The Historical Re-Enactment Group of Malta will be present in their Napoleonic period military and civilian costumes. There will be flower and cakes stalls as well as used books and bric-a-brac. Children will be entertained to the bouncing castle and to face painting, between 11.00am and 13.00pm, and meanwhile refreshments, home made cakes and marmalades will be available for sale. Great prizes will be raffled. Entry is €2 for adults, children under 12 come in free. This is a fundraising activity to support the costs of maintaining this extraordinary site so significant in Malta’s history. The participants of the Malta Regency Week-end 2016 at Dingli Cliffs. 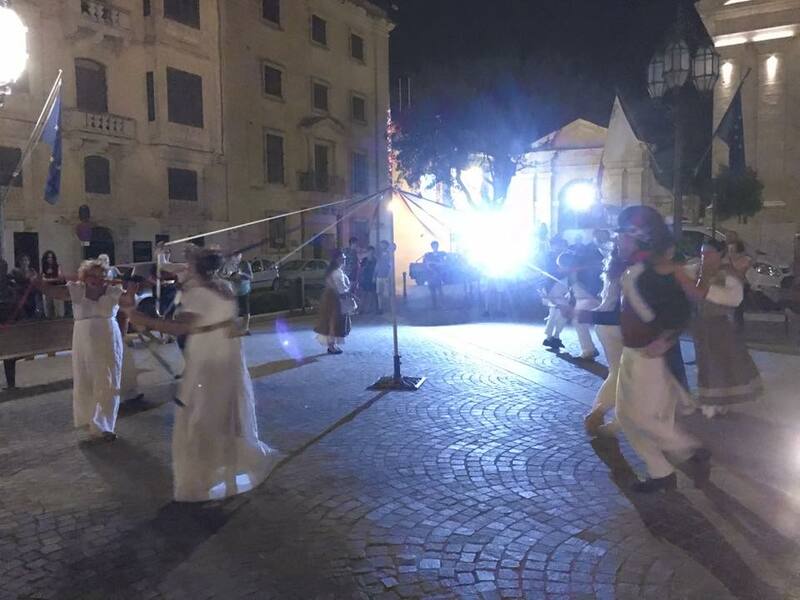 The Malta Regency Week-end 2016 was successfully held on the 22-24 April with a jam-packed three days of dancing in historical attire. 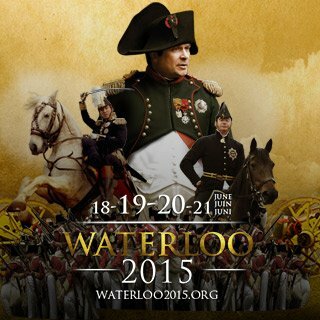 The HRGM French and British Units participated in Waterloo 2015 and return in full glory from the historic event! See what they were up to here.